Here is the Wordle.net word cloud for work I co-authored, titled, “Development of a Reading Material Recommender System Based On Design Science Research Approach,” which will be presented at the 52nd Hawaii International Conference on System Sciences on January 10, 2019. This work is a collaborative effort with Asst. Professor Evren Erylimaz. 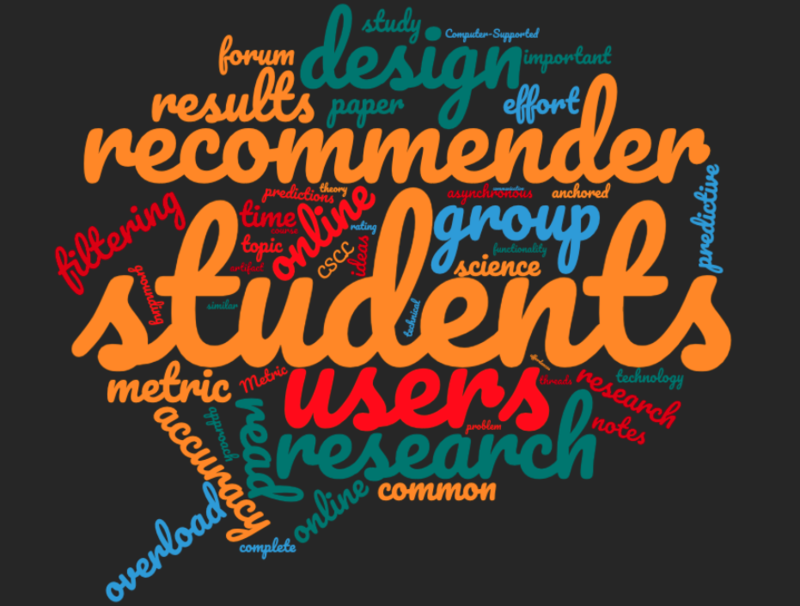 Using design science research (DSR), we outline the construction and evaluation of a recommender system incorporated into an existing computer-supported collaborative learning environment. Drawing from Clark’s communication theory and a user-centered design methodology, the proposed design aims to prevent users from having to develop their own conversational overload coping strategies detrimental to learning within large discussions. Two experiments were carried out to investigate the merits of three collaborative filtering recommender systems. Findings from the first experiment show that the constrained Pearson Correlation Coefficient (PCC) similarity metric produced the most accurate recommendations. Consistently, users reported that constrained PCC based recommendations served the best to their needs, which prompted users to read more posts. Results from the second experiment strikingly suggest that constrained PCC based recommendations simplified users’ navigation in large discussions by acting as implicit indicators of common ground, freeing users from having to develop their own coping strategies. And below is us at the conference site. Not a bad view at all. 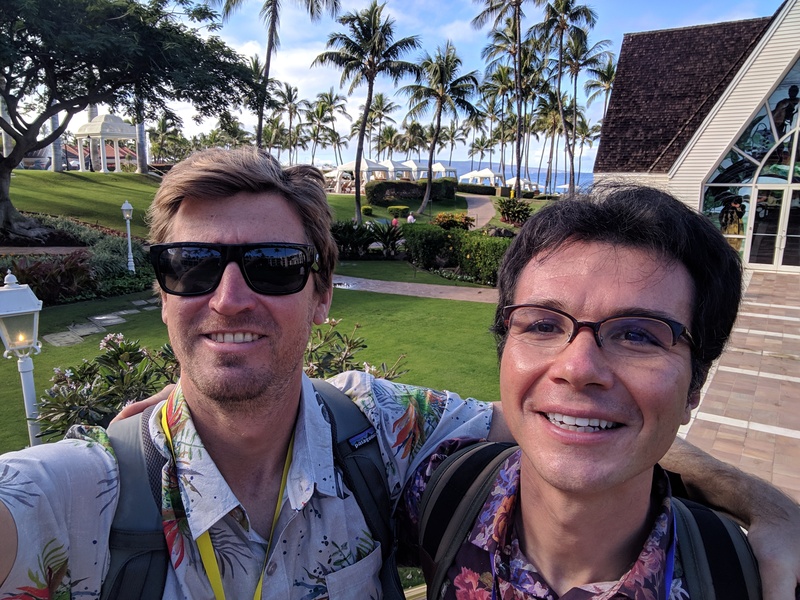 E. Eryilmaz, B. Thoms, KH Lee, M. de Castro, “Development of a Reading Material Recommender System Based On Design Science Research Approach,” Proceedings of Hawaiian International Conference on System Sciences (HICSS 52), January 8-11, 2019, Wailea, HI, USA.